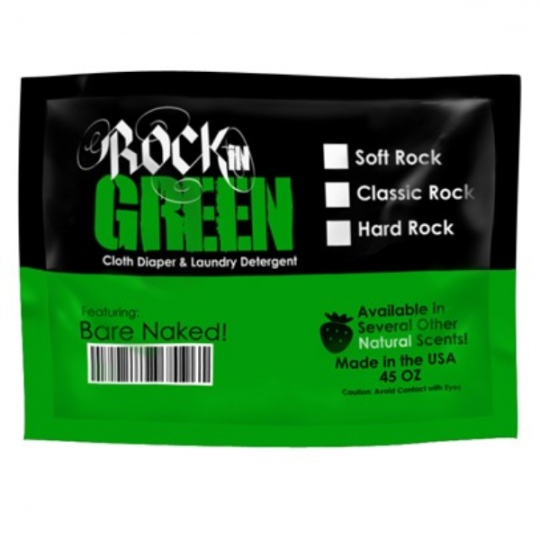 Baby & kid safe biodegradable, all natural liquid laundry detergent. 1. 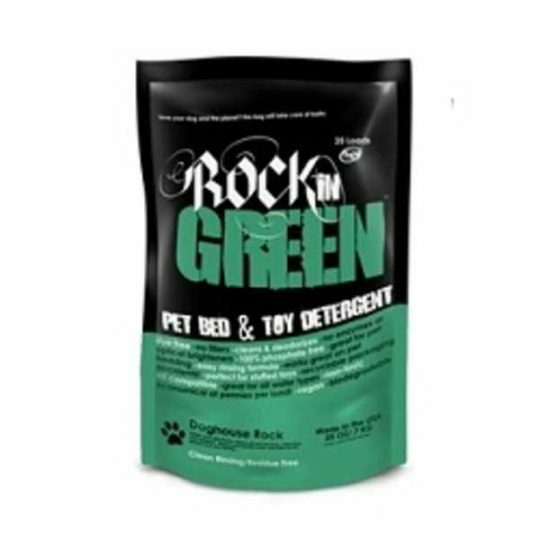 For Babies – Rockin green is the #1 best selling detergent for cloth diapers. 2. For Sports – For all those shorts that stink like sweat no matter what you do, this detergent gets the stink out. The ideal detergent is perfect for people with all water types. Our gentle yet powerful plant based formula contains no phosphates, optical brighteners, SLS/SLES, parabens, or artificial fragrances. 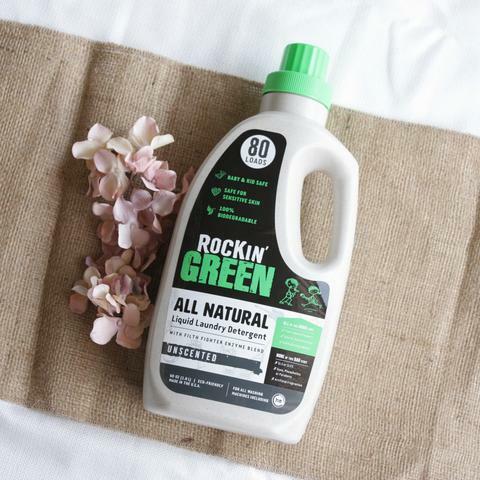 All our ingredients are biodegradable and non-toxic, so it is just as safe for you and your family as it is for the environment. 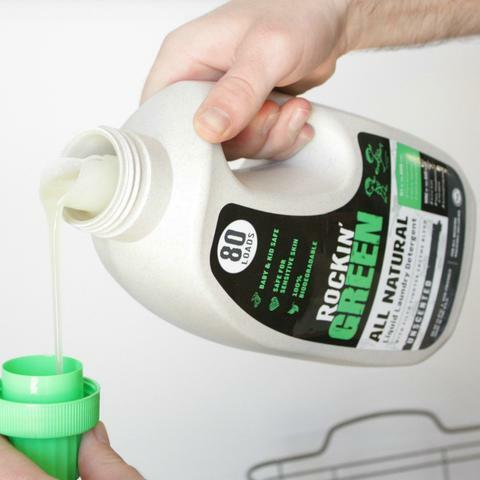 Comes in a 1.8L recyclable plastic bottle which will do up to 80 loads! 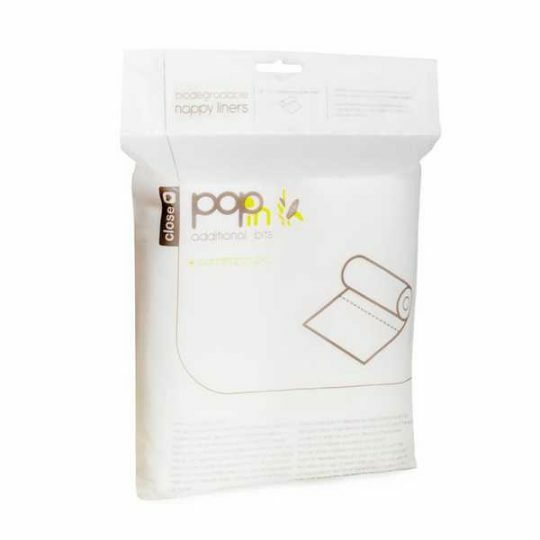 Clean-rinsing formula leaves nothing behind, and is ideal for sensitive skin. 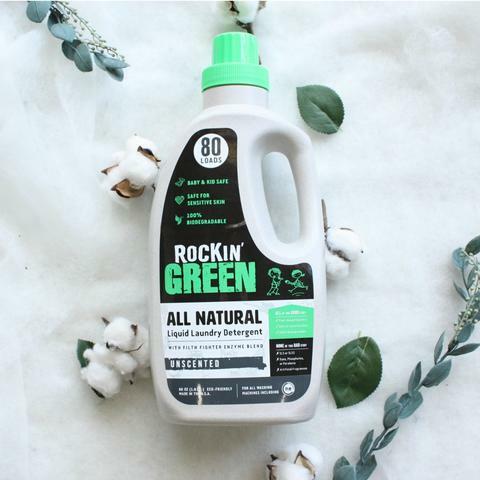 Even our fragrances come out in the wash, so all you are left with is clean, fresh laundry – not harsh irritating chemicals. 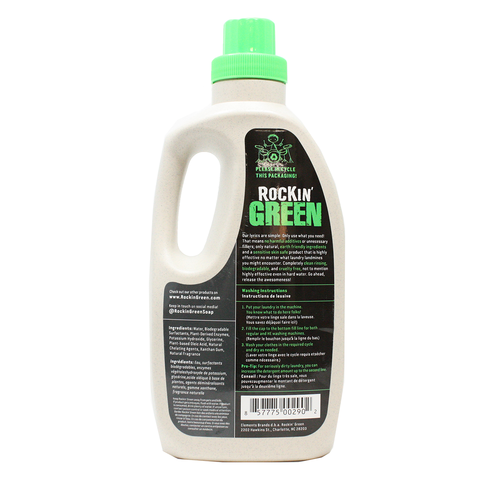 Highly concentrated and made for all washing machines, including high efficiency. Contains no fillers or dyes, so all you need is one small capful per load.